Imperial Beverage Cooler Expansion - Byce & Associates, Inc.
Design Program: Byce & Associates, Inc. provided Architecture and Engineering services for the addition of a new 27,244 square foot beverage cooler for Imperial Beverage. 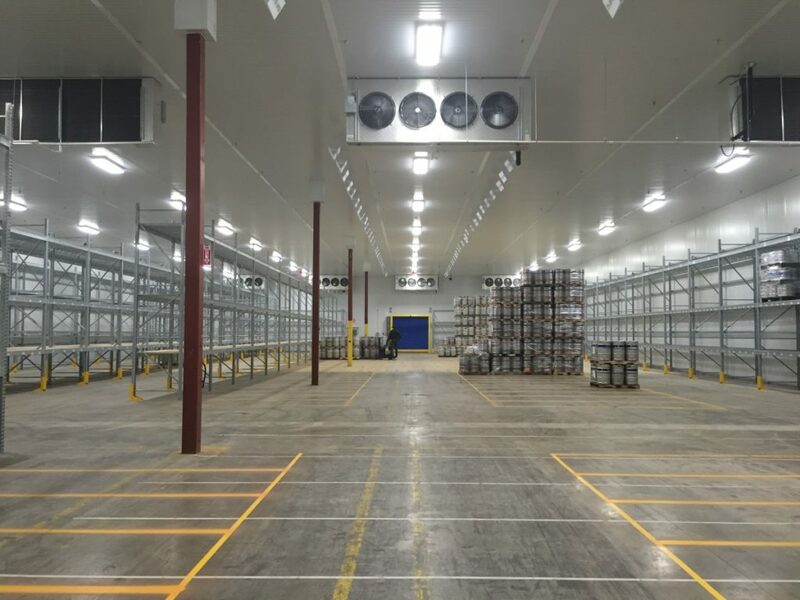 The new cooler was constructed within an existing 60,000 square foot portion of the existing facility, and positioned to maximize efficiency of circulation and shipping and receiving functions for Imperial Beverage. Placement of the cooler was done so to maximize floor to ceiling clearances within the existing building shell with 9 1/8 height of over 20’. High speed doors and air curtains were provided to help with thermal efficiencies. 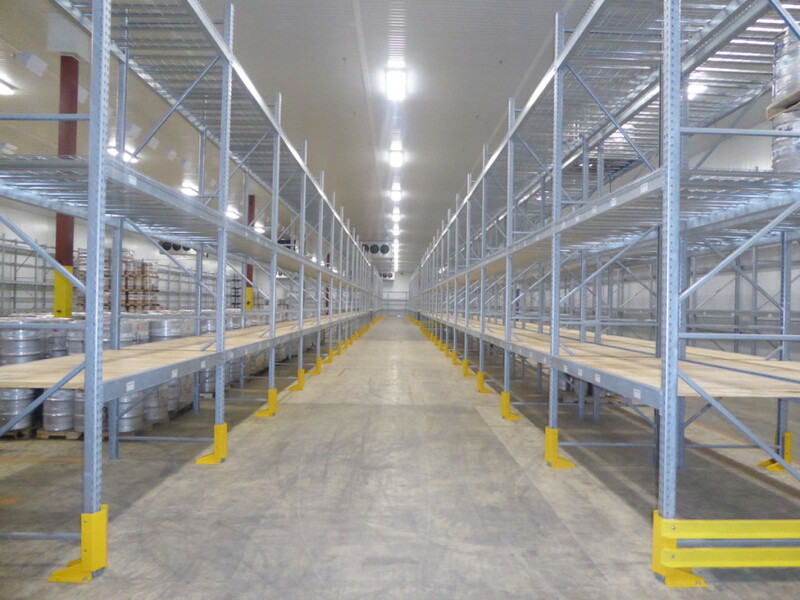 The cooler layout was designed to maximize storage capacity while allowing for future expansion to the south to accommodate continued company growth within the existing facility. Design Challenges: The project was constructed with a limited budget and aggressive schedule. 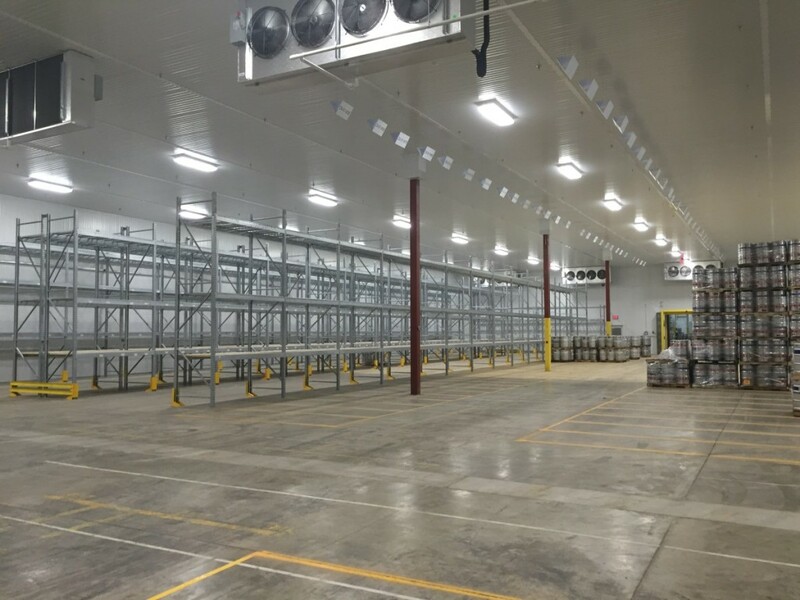 To control cost, a traditional cold storage building construction was used in lieu of a true “cooler” panel system. A 5” thick, insulated metal panel system by Kinspan was used to maximize the thermal envelope and accelerate the installation process. As a result, the project was completed on-time and on-budget for Imperial Beverage.